The reason has to do with both cost and efficiency. A new, 60 gallon American oak barrel can cost $400 dollars or more and French oak is over $1000 per barrel, and sometimes quite a bit more, depending on type and quality. Most wineries cannot afford to sell wine for under $20 if they must purchase new oak barrels. 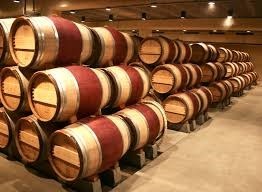 Aging in oak barrels also takes time, lots of space for storing the wine, and the barrels are difficult to move creating logistical problems and requiring more labor in the winery, all of which increases the cost of production. By using oak adjuncts, the oak flavors can be extracted more quickly, the level and type of oak flavor can be precisely adjusted (at least for winemakers experienced at using them), and the wine can be stored more efficiently until ready to be bottled. No doubt, traditional barrel aging is still the preferred method for aging fine wine in part because it isn’t yet clear that micro-oxidation is an adequate substitute for traditional methods. Many winemakers who have tried both return to barrels because they prefer the result. But for less expensive wines, well, they wouldn’t be less expensive if it were not for oak adjuncts. As to whether we should be OK with the wine industry’s lack of transparency regarding their use of adjuncts, that’s another question. Marketing materials almost invariably leave the impression that even cheap wines are aged in barrels by mentioning oak or oak aging leaving us to infer actual barrels were used. If they were to explicitly mention barrels they would run afoul of labeling laws forbidding the use of false or misleading statements on the label, although I have no idea how strictly enforced this rule is with regard to oak programs. In general I prefer more information about methods and processes used in making a wine including how it was oaked. But the movement toward more transparency doesn’t appear to be making much headway and I suspect that most budget wine drinkers don’t care.